UCLA linebacker Deon Hollins talks about how the Bruins plan to contain Nebraska’s Tommy Armstrong Jr., and why he and his teammates are better equipped now to handle a dual-threat quarterback. UCLA defensive coordinator Tom Bradley talked about the Bruins’ preparation for the Foster Farms Bowl on Saturday, and how to account for Nebraska quarterback Tommy Armstrong Jr. — who has rushed for 1,029 yards and 12 touchdowns since 2014. Series history: The all-time series is tied at 6-6, but UCLA has won the two most recent meetings. 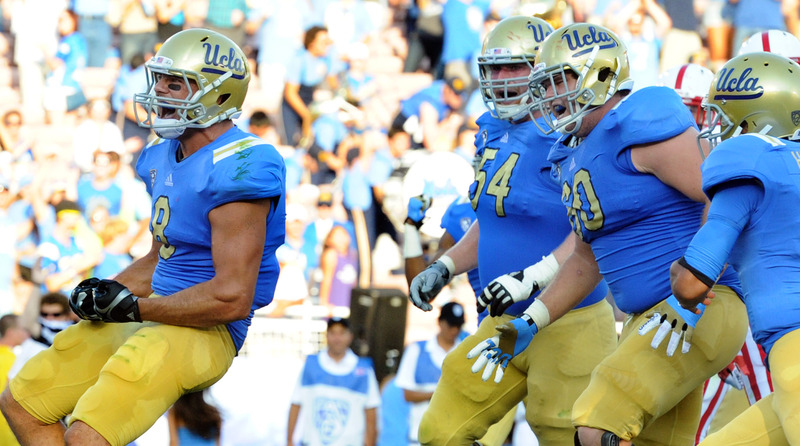 The Bruins swept a home-and-home series, starting with a 36-30 home win in 2012 that helped jump-start excitement about the Mora era. The team’s 41-21 comeback on the road the following year followed the death of receiver Nick Pasquale, whom Cornhusker fans helped honor before kickoff.